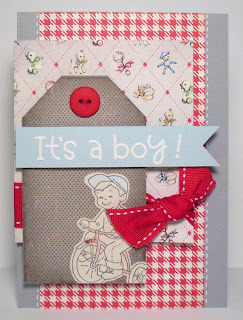 This month I have the pleasure of working with the Little Boy Blue range from Crate Paper. I had already purchased the Little Bo Peep range which I had fallen in love with. This range is just so adorable! I love the retro/vintage style and the colours and illustrations. 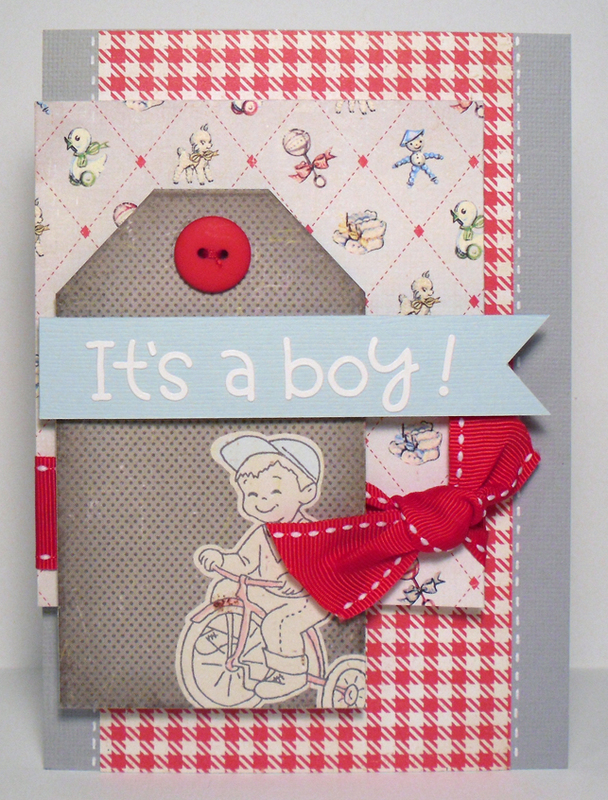 My first card uses one of my favourite colour combinations - red and powder blue. I love the main illustration of the boy on his push bike. This is from the tag cuts sheet that features a whole heap of different tags - perfect for layouts or cards. 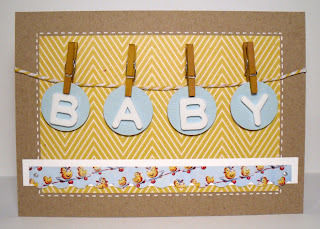 My second card features cute peg details on some yellow baker's twine. 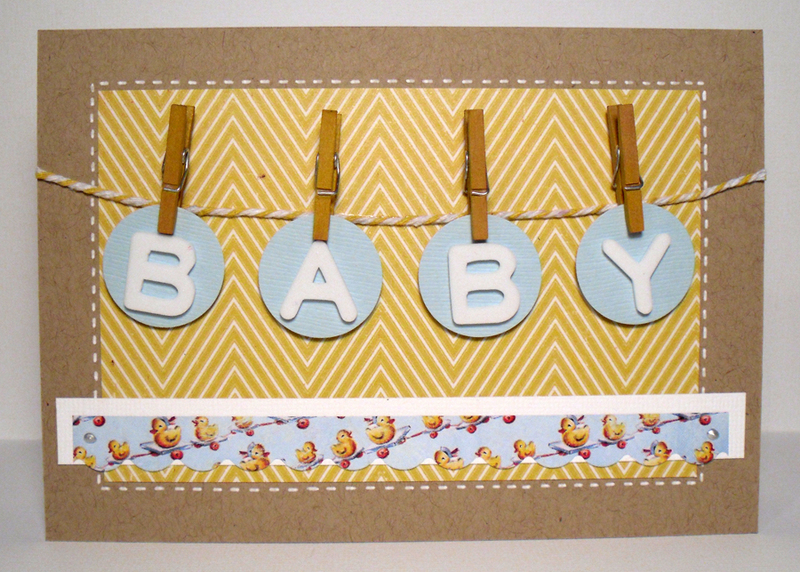 I'm really into chevron type patterns at the moment so I used the yellow and white chevron as my base against the natural card. I hope this provided you some inspiration for your next project.